Ever wonder what kind of music authors listen to when they write, or what music inspires them? 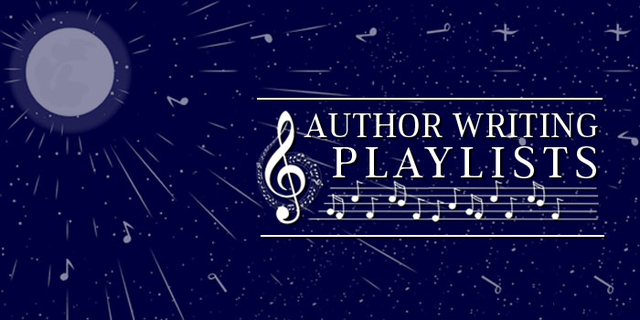 Since two of our authors have upcoming novels in which music features heavily, we asked them to share their favourite writing playlists. The results might come as a surprise! I had never listened to Dylan’s music before I started working on Stranger, but got into it (and fell for it hard) when I was researching the novel’s time period and the music my characters would have heard as they were growing up. “Lonesome” encapsulated, for me, a lot of the themes of the novel, and especially helped me to visualize the lost relationship between my main character, Sam, and his first love. Blood on the Tracks would definitely be a desert-island album choice for me. A lesser-known tune from the High Tide and Green Grass album, “Tell Me” worked much the same way as Dylan’s “Lonesome.” It summed up what Stranger was about, and kept me focused on the driving energy of the story. This piece plays a major plot role in Stranger. When I was eleven, I played the four-hands version of it with my best friend, and I still remember how much fun we had and how she used to make me laugh until I ran out of breath. I loved bringing that time back to life for myself as I wrote the music into Stranger. Ma Mère L’Oye is a simple but gorgeous piece, in which Ravel draws on fairy tales (Tom Thumb, Beauty and the Beast, and others) and re-tells them in music. This is one of my all-time favourite classical pieces; if I had to pick one favourite composer, I would choose Beethoven. He wrote about the terrible loneliness he felt and his fear that he wouldn’t be able to keep making music; he wrote that he was in such despair he had considered ending his life, but he couldn’t do it when he had so much more he wanted to say and create. He didn’t know how long he would be able to keep working, but he went on making music, fighting the battle every day as his deafness closed in on him. I can’t say enough about how both his work and his life have inspired me. The second movement of the Seventh Symphony is one of the most beautiful and powerful laments I’ve ever heard. I fell in love with it when I was about ten years old, and still get chills every time I listen to it. Stranger was unusual, and enormously fun for me as a musician, in that music plays such a big role in the story itself. With more recent projects, I haven’t been listening as much for immediate inspiration as to take a break from the search for words. Pop songs help a lot: favourites right now include Sheppard’s “Geronimo,” Vance Joy’s “Riptide,” and Elle King’s “Exes and Ohs” (I love her raspy voice and that down-and-dirty writing). Anything I listen to, though, usually ends up being connected to the story in some way, thematically or just for the energy and release of belting it out while the story simmers on the back burner. At the end of the day, it doesn’t matter if it’s notes or words or both: all of it is storytelling. I’m not the kind of person who creates organized playlists for specific purposes. When I write, I usually bounce between Pandora stations and my iTunes library. Some days I get obsessed with a specific song and play it on repeat until I never want to hear it again. Other days I let the algorithms decide what I need to hear. But writing The Goodbyes was different. Since Webb was a musician, I was afraid to let other artist’s lyrics sneak into my prose. I needed the musical equivalent to white noise. So, many of the chapters were written to the soundtrack of Tibetan monks chanting and movie scores. Instead of sharing the music that inspired me while I was actually writing, I made a playlist of the songs that inspired the characters in the book. This is their soundtrack. “Drive” is one of those songs that still inspires me today. The themes of taking control of your destiny, being present, and letting go of fear are important to Webb’s journey as an individual and a musician. While The Killers didn’t achieve worldwide acclaim until the following summer, I remember getting a bootleg copy of their demo back in 2002 from a friend in Vegas. I decided to give this gift to Bree. “Somebody Told Me” is a more relevant song for Bree and Webb (even though it wasn’t recorded when she mentions The Killers). Bree also loves Green Day. “Good Riddance (Time of Your Life)” plays at the dance, but “Boulevard of Broken Dreams” is a more appropriate song for Bree’s downward spiral. “Don’t Stop Believin'” is a timeless anthem for dreamers. I did a cover version of this song with my first band back in 1997. While we didn’t make it as far as TempFive, it’s a little nod to those early days of coming up with enough songs for a set. The tempo of “Hey Ya” encapsulates the hectic and thrilling rise to fame. The lyrics also hint at how Webb feels about Merilee. At their first band practice, Webb, Chris, and Brent play along to Californication. I imagine Webb thinking about Bree when “Scar Tissue” comes on. I can’t say much about the last two songs without spoilers… Webb’s drive from D.C. to Pennsylvania with “Fix You” and “Open Your Eyes” for the final chapter.